LONDON – If you want to end wars and stuff, you’ve gotta sing loud, Arlo Guthrie always said, and several of the finest and best-loved performers around sang loud and well at London’s Live 8 concert on Saturday (July 2) to try to bring an end to poverty. The free 10-hour show before 200,000 fans in Hyde Park might not succeed in putting a stop to early death in Africa but at least the world leaders meeting at the G8 conference in Edinburgh this week, who could do something about it, cannot say they weren’t told. 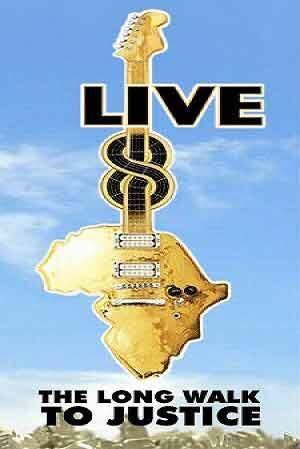 The marathon concert was billed as the greatest rock show ever, and it came close with an emotional richness infused with the incomprehensible but correctible tragedy that is today’s Africa. Politicians and economists would have to be completely tone-deaf to miss the point. The event was a masterful display of technical organization as 26 acts performed mostly 15-minute sets and it appeared to be the demands of international television feeds that caused the show to over-run by more than two hours. Memorable moments came thick and fast featuring a splendidly reunited Pink Floyd (below), the fighting-fit remains of the Who, a top-notch REM, a surprisingly moving Dido with Youssou N’Dour, a knock-’em-dead number by the Killers, and Paul McCartney in world class form. Pete Townshend and Roger Daltry powered out “Who Are You?” now more famous as the theme from TV’s “CSI,” and an extended and quite glorious “Won’t Get Fooled Again.” Young American band the Killers with lead singer Brandon Flowers (left), dressed in white suits, did just one number, “All These Things That I’ve Done,” but it was a dazzling success and they might be the breakout stars of the show. McCartney began and ended the day, closing with smashing versions of “Get Back,” “Drive My Car” (with surprise guest George Michael), and “Helter Skelter.” Then, at the piano, he sang “Long and Winding Road,” leading into the chant from “Hey Jude,” joined by most of the day’s performers and the vast crowd. McCartney and Bono (below) had started things off with a rousing version of “Sergeant Pepper’s Lonely Hearts Club Band” largely because the opening line “It was 20 years ago today … ” evoked memories of the 1985 Live Aid charity show. U2 and Elton John, each in good form, played early sets so they could rush off to concerts elsewhere. 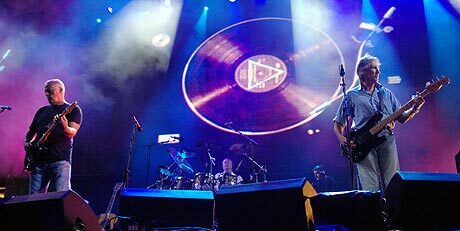 In the first of several examples of amending lyrics to fit the occasion, Bono featured in the song “Beautiful Day” all the cities where concerts were being held and it had the crowd immediately joining in. Later, Annie Lennox included a vivid “Sweet Dreams” in her set and Snoop Dog increased the profanity quotient with some typical rap. Joss Stone and the Scissor Sisters made crowd-pleasing appearances as did Sting and Velvet Revolver. 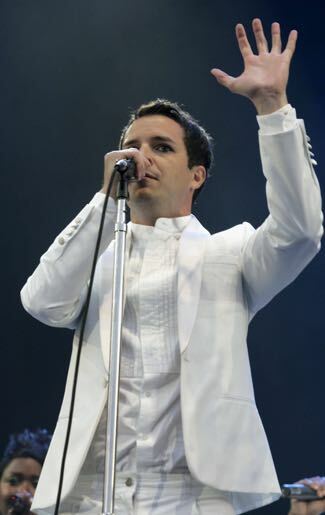 Keane, Ms. Dynamite, Travis, UB40, Razorlight and Snow Patrol waved the British flag along with Robbie Williams who once again demonstrated his mysterious grip on British fans with a self-indulgent set of monotonous songs that had the crowd howling for more. Madonna and Mariah Carey were each over the top, as you might expect, with mechanical movements and syrupy gushing over the Africans who joined them on stage. It’s churlish to complain, however, on a day that might not have changed the world but certainly will be remembered by all who were there. 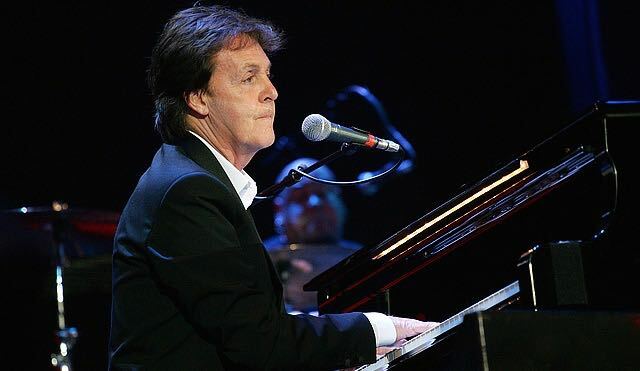 McCartney returned to the piano for the inevitable crowd-pleasing singalong closer, “Hey Jude”. Clouds had threatened rain all afternoon but they cleared to allow a beautiful sunset over the mass of humanity in Hyde Park and it remained dry until after midnight as, with public transport closed, the 200,000 made their way home along the surprisingly harmonious streets of London. 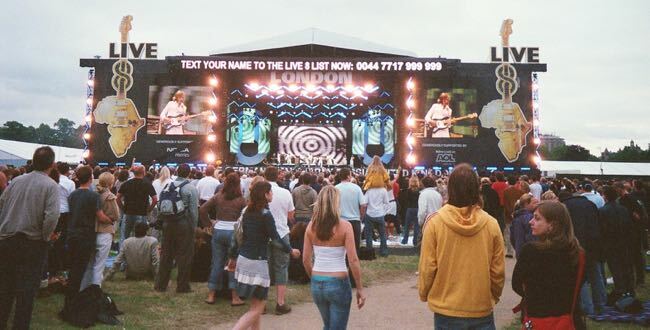 This entry was posted in Music, Reviews and tagged 'Live 8', Annie Lennox, Bob Geldof, Bono, Coldplay, Dido, Elton John, Hyde Park, Joss Stone, Keane, Madonna, Mariah Carey, Ms Dynamite, Paul McCartney, Pete Doherty, Pink Floyd, Razorllight, REM, Richard Ashcroft, Robbie Williams, Snow Patrol, Stereophonics, The Killers, The Scissor Sisters, The Who, U2, UB40, Youssou N'Dour. Bookmark the permalink.